A Catholic young adult can sometimes feel isolated. Friends may have drifted away from practicing their faith. At Mass, families and older adults may fill the pews. Catholic young adults are out there, though. The Assisi Young Adult Conference plans to bring them together for spiritual growth, networking and support March 2-3 in Achatz Hall at the University of Saint Francis, 2701 Spring St. in Fort Wayne. Organizers hope participants leave with “a deeper sense of their own identity in Christ and kind of that they are on a mission in our own community,” said Eliese Kurtzweg, 23, the conference director and a December nursing degree graduate from USF. The is the first year for the conference, which is open to young adults, ages 18-35, from throughout the Diocese of Fort Wayne-South Bend. The schedule features a number of speakers, including Leah Darrow, a former contestant on the TV show “America’s Next Top Model.” The conference concludes with a Mass celebrated by Bishop Kevin C. Rhoades, followed by a brunch reception. 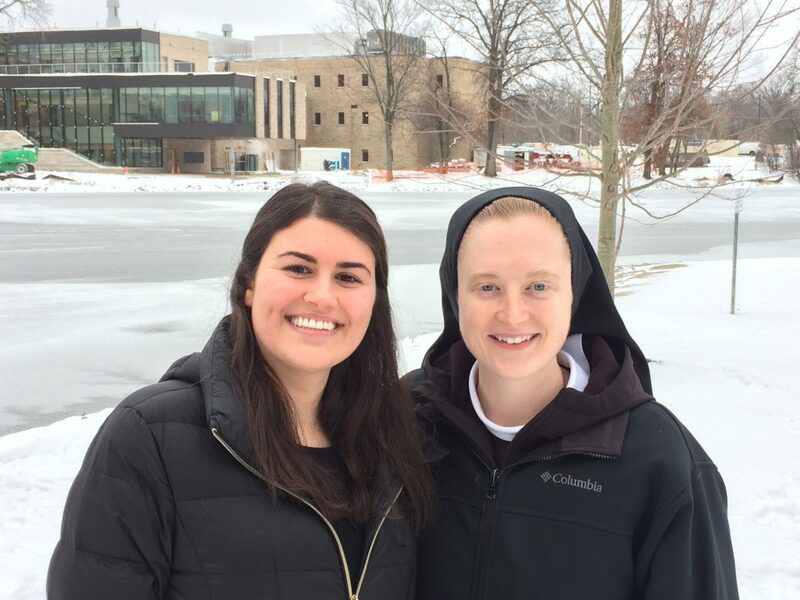 Eliese Kurtzweg, left, conference director, and Sister Ignatia Henneberry, assistant director of campus ministry at University of Saint Francis in Fort Wayne, are among those who have organized the Assisi Young Adult Conference, which will take place March 2-3 in USF’s Achatz Hall. Kurtzweg said she’s always had a passion for sharing her Catholic faith with others. The idea for the conference grew out of a pilgrimage visit she made last winter to Assisi, the hometown of St. Francis of Assisi in central Italy. She believes St. Francis’ approach — asking “Who are you, Lord, and who am I?” — can help people discern their vocation and aid them in striving for sainthood in everyday life. Kurtzweg has worked with Sister Ignatia Henneberry, USF’s assistant director of campus ministry, and other young adults to plan the Assisi conference in partnership with the diocese. Sister Henneberry, 29, also has been the liaison with USF staff for facilities use and related needs. Organizers hope the event also attracts young adults who aren’t actively practicing their faith, said Sister Henneberry, a member of the Sisters of St. Francis of Perpetual Adoration religious order that founded and operates USF. Participants will experience an encounter with God and connection to a network of people who will support them in their spiritual journey. “Really, with this conference, we are tilling the ground and the Holy Spirit will plant the seeds,” said Kurtzweg. 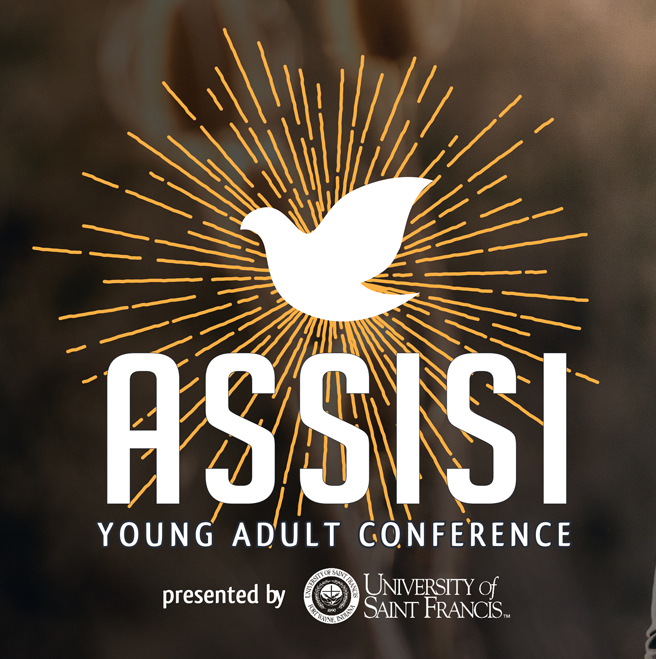 WHAT: The Assisi Young Adult Conference invites people ages 18-35 from throughout the Diocese of Fort Wayne-South Bend to learn from informative speakers and to network with other Catholic young adults. WHEN: 9:30 a.m. to about 10:30 p.m. March 2 and 8:30 a.m. to about 1 p.m. March 3. Mass will be said at 8:30 a.m. March 2, and by Bishop Kevin C. Rhoades at 11 a.m. March 3. Breakfast, lunch, dinner and snacks will be provided March 2, and breakfast and brunch will be served March 3. COST: Through Feb. 15, $45 per person and 50 percent off a friend’s ticket; Feb. 16-March 2, $65 per person including on-site registration opening at 7 a.m. March 2. Register in advance at assisifortwayne.com. NOTE: You must arrange for your own overnight lodging March 2. Leah Darrow, a former fashion model and past contestant on the “America’s Next Top Model” TV show, now is a Catholic speaker, writer and author of the book “The Other Side of Beauty.” Darrow also is host of the “Do Something Beautiful” podcast and a co-founder of the LUX Conference for young adult women. Father Augustine Thompson is a professor of history at the Dominican School of Philosophy and Theology in Berkeley, California. His special area of interest is medieval Italy. Books written by Thompson include one on St. Francis of Assisi. Sister Benedicta Duna entered the Sisters of St. Francis of Perpetual Adoration religious order in Mishawaka in 2008 after earning a bachelor’s degree in theology at the University of Notre Dame. She has taught middle school religion, earned a master’s degree in theology from Franciscan University of Steubenville in Ohio, and currently serves as assistant vocations director at her religious order’s motherhouse in Mishawaka. Matt Faley, a Catholic singer/songwriter from Indianapolis, will provide music. His new single is “Jesus, I Trust.” He also works as director of the Office of Young Adult and College Campus Ministry for the Archdiocese of Indianapolis.